No stranger to the cage, Tiger Muay Thai & MMA Training Camp Phuket, Thailand longtime guest Gokhan Turkyilmaz (9-6 MMA, 10-2 Kickboxing) is gearing up for another battle as he enters two separate tournaments in back-to-back weeks! The 27-year-old Australian-Turk will fight tonight (May 10) at the Global Fighting Championships 2 Grand Prix in Dubai, United Arab Emirates. The four-man, one night MMA tournament will be fought at welterweight (75 kg). Just eight days later, on May 18, Turkyilmaz will travel to Instanbul, Turkey to compete in another four-man tournament, this time in kickboxing, with a chance to qualify for US$100,000 prize fight later this year. 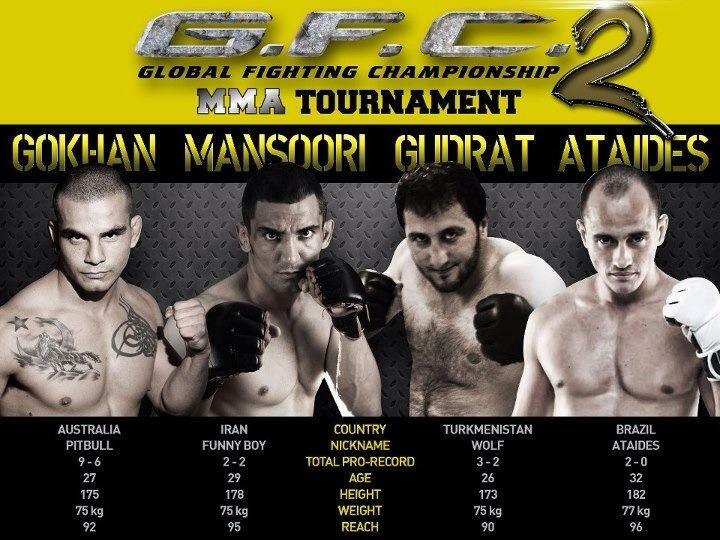 The tournament pits the best Turkish kickboxers against Europe’s most ferocious standup artists. The potential to fight four times in two weeks is high as Turkyilmaz has been training like a madman recently, going 15 rounds in pads and sparring at times. Nothing new for someone who fought their first amateur kickboxing bout at 14-years-old and MMA at 16. Two tournaments in two weeks also increases the risk of injury. Turkyilmaz believes he is prepared to deal with whatever comes his way, though it is a concern. Turkyilmaz is coming off a win against Troy O’Connor at the WRFC – Warrior’s Realm event in March. He won that bout by forcing his opponent’s corner to throw in the towel just after the second round. The Tiger family wishes Turkyilmaz good luck as he takes on this difficult yet exciting task! “I’d like to thank my sponsors, Tiger Muay Thai, Phuket Pro Nutrition, FTP Clothing, Yakuza Tattoo, and Elite Tattoo,” Turkyilmaz says.